Princess Cruises’ fleet of 19 does an excellent job of coupling traditional cruising with modern advances. Expect plenty of impressive entertainment. Princess Cruises recently partnered with Grammy, Academy and Tony award-winning composer Stephen Schwartz, who has created four exclusive productions. Another highlight is Movies Under the Stars - a huge poolside movie screen that shows films and sporting events. 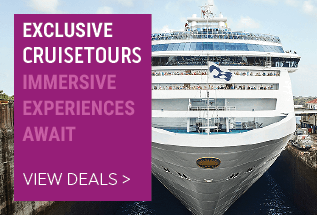 A nice touch from Princess Cruises is the destination-themed activities they include. 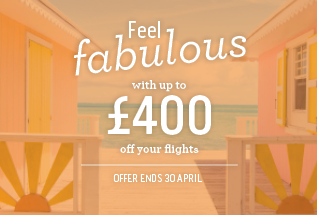 These range from learning the samba in South America to steel pan lessons in the Caribbean. You’ll also find local cuisine in the main dining room. For families, there is 'Discovery at SEA', with activities including stargazing on the top deck, cake decorating classes and Animal Planet-themed activities. Some of our favourite gourmet dining options include Sabatini’s for rustic Italian cuisine, the Curtis Stone designed dishes in the main dining room, the Crown Grill for seafood, and the Salty Dog Gastropub. Guests can choose between set-time or flexible dining, too. Chocoholics will love all the sweet treats from master chocolatier, Norman Love, including chocolate desserts, signature chocolate cocktails and chocolate spa treatments. If you opt for one of Princess Cruise’s new Club Class Mini-Suites, you can enjoy club-class dining, complimentary wine and canapés delivered to your suite each evening. 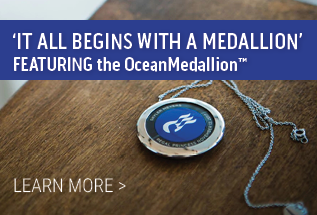 Introducing ‘OceanMedallion™’: Onboard Princess MedallionClass Ships you will receive a complimentary ‘OceanMedallion™’; A smart-accessory which can be worn in a variety of ways: in a clip, bracelet, sports-band or as a pendant. The OceanMedallion is your key to your stateroom, key-access to areas and a world of possibilities aboard your ship. 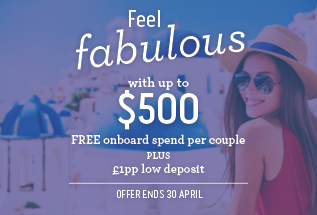 An innovative experience exclusive to Princess Cruises. OceanMedallion is available onboard Caribbean Princess and Regal Princess; coming soon to Royal Princess (13 April 2019), Crown Princess (24 July 2019), Sky Princess (27 October 2019), and Enchanted Princess (19 June 2020). Princess CruiseTours: See more of your chosen destination with a Princess Cruisetour – the ideal combination of a cruise with a landtour. These remarkable Cruisetours offer once-in-a-lifetime experiences. Engaging history with a multiple-night landtour where you can explore some of the planets most fascinating places. From Australia, Japan to the Americas and Alaska. The choices are endless, from invigorating activities to more relaxing pursuits. With Princess you'll discover an incredible array of options that make each day a delightful new adventure. Meet friends for a small bite, wine by the glass and enjoy street performer-style entertainment in the Piazza. Spend a few hours of tranquility in The Sanctuary – a retreat just for adults where you can enjoy a massage, signature drinks and snacks or the spectacular sea views from your plush lounge chair.Whether you feel like a multi-course meal in a formal dining room or hand-tossed Naples-style pizza by the pool, Princess obliges your every mood. From elegant specialty restaurants to themed buffets on deck, the variety of venues and dining options is certain to satisfy no matter the time of day.